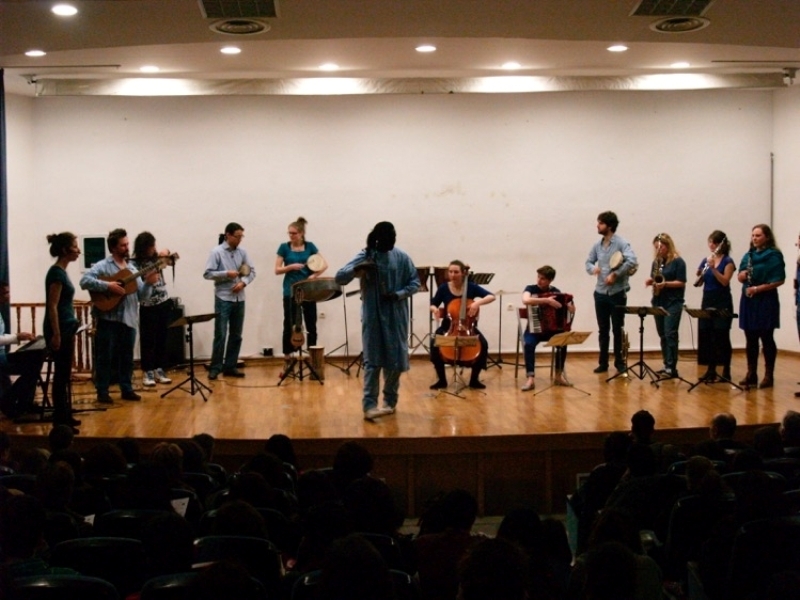 Orality, an essential element of traditional music, is to a large degree incorporated in the curriculum through a practical approach: learning at least one instrument. 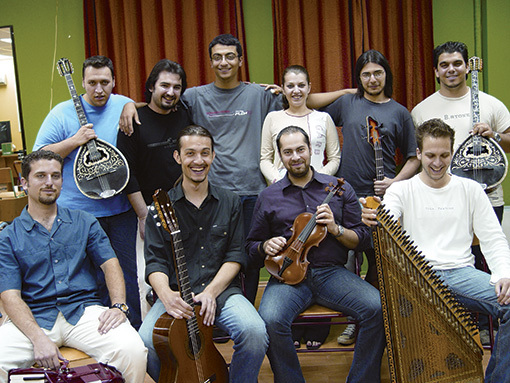 Instrument learning is based on the utilization of the experience and skills of distinguished traditional musicians, who are called to transmit as well as help to document techniques and styles that are under extinction. These musicians constitute a special staff category (Laboratory Teaching Staff) and are hired and evaluated on the basis of their distinguished artistic work. For more details see Zoubouli, M. (2014) «Musiques au pluriel, musiques au présent : La constitution d’un cursus académique à partir des cultures musicales de l’Est méditerranéen», in Meriem Alaoui Btarny & Tiphaine Duriez (eds. ), La fabrique interdisciplinaire des savoirs. Actes du colloque international tenu à l’Université Sophia Antipolis le 15 et 16 novembre 2012. In this article the theoretical underpinnings of the department’s curriculum as well as its structure are developed in detail. Both are original and do not copy any of the existing international models in the field of (ethno) musicology. 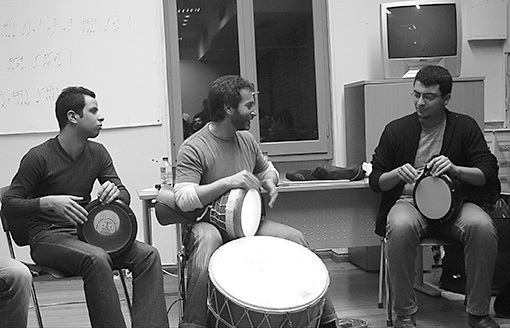 teach the subject “Greek traditional music” and any related discipline (including performance practice) in “Intercultural” and “Music” High Schools in the country, where popular culture is already an essential component of the curriculum. 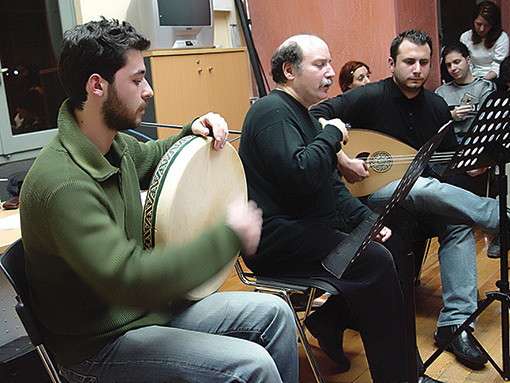 teach the subject “Greek traditional music” and any related discipline (including performance practice) in conservatories and music schools that include training courses on traditional music and instruments. 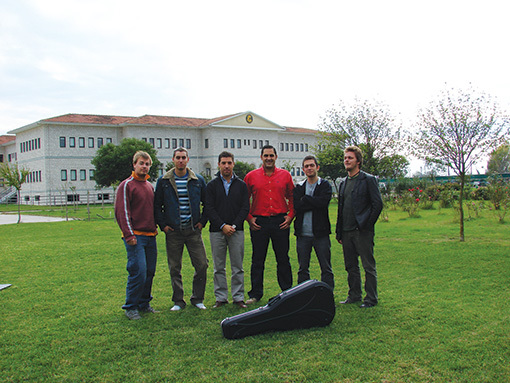 They have the right to form and direct private schools of Greek traditional music. teach the subject “Greek traditional music” and any related discipline (including performance practice) in primary and secondary education (e.g. Elementary and high school). teach Greek dancing courses in public institutions or cultural associations or any other framework. teach in special seminars or in any other framework the subject “construction and maintenance of traditional musical instruments”. undertake the organization or participate as scientists in relevant research projects in Universities, Technological institutes and other research centers and institutions. practice the profession of the performer or manufacturer-conservator of instruments in their subject area. 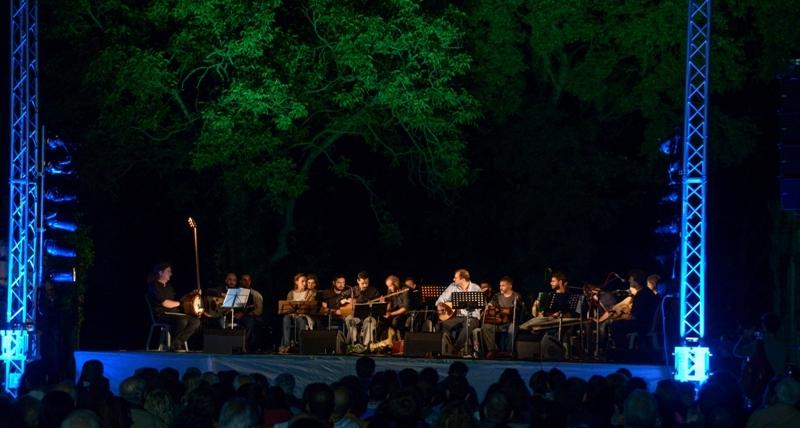 formulate, plan and implement cultural policies and organize music events in the field of Greek traditional music and undertake the responsibility to investigate and evaluate the potential to promote traditional culture as specialized members in public or private entities. They work as specialized staff in publishing and recording companies, broadcasters and management structures of cultural goods. implement modern computer applications and multimedia in the field of music. graduates may be employed in education for the transfer of specialized knowledge, in accordance with the current legislation concerning each educational level. graduates may be employed in the public services and evolve in the hierarchy according to the legislation. graduates perform any professional activity that occurs to be within the field of their specialty, in accordance with the provisions of existing legislation at each time. The research undertaken by the academic staff members is not inconsiderable. 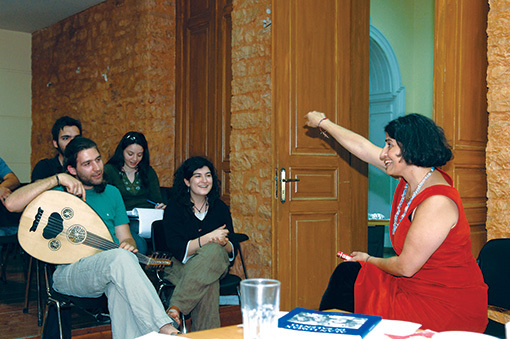 Several programs have been run, such as the project entitled «Zagori, Nature and Culture», which designed an original digital guide for the Zagori area including various information and multiple levels of access, b) the project “Innovation and Entrepreneurship” which includes students’ visits to various institutions, a series of innovative activities etc, c) The departmental workplacement programme as part of the related institutional one. The academic staff participates in other projects as well, in collaboration with other universities in Greece and abroad. Of particular note is the Department’s collaboration with the Ηellenic Parliament Foundation; after the successful publication of the volume “Musics of Epirus” (2008) the Foundation assigned to the Department the Thessaly volume which will include 4 cds (it will be launched in 2014). 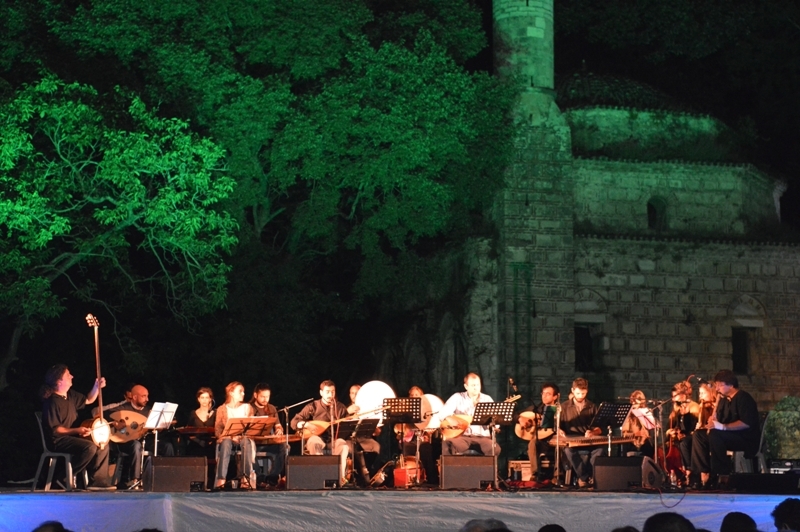 The “Laboratory for the Digital and Printed Documentation of Greek music” continues to work informally. 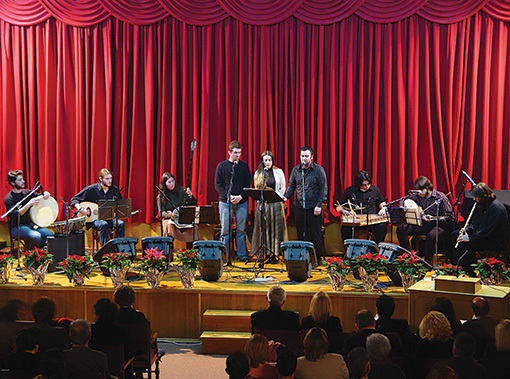 Having as its basis the Greek music Archive the Laboratory aims at the development of certain research themes and the promotion and support of the Department’s work in general. Departmental research is further supported by the Laboratory for the construction and maintenance of musical instruments and the Recording Studio.